Project Sophia is an extraordinary initiative facilitated by Vancouver Operative Kat Thorsen, and inspired by a truly extraordinary young woman, Sophia Pomeroy and her wonderful Mom, Beverley Pomeroy. Sophia is 16 years old and was diagnosed with a life-threatening illness at birth. 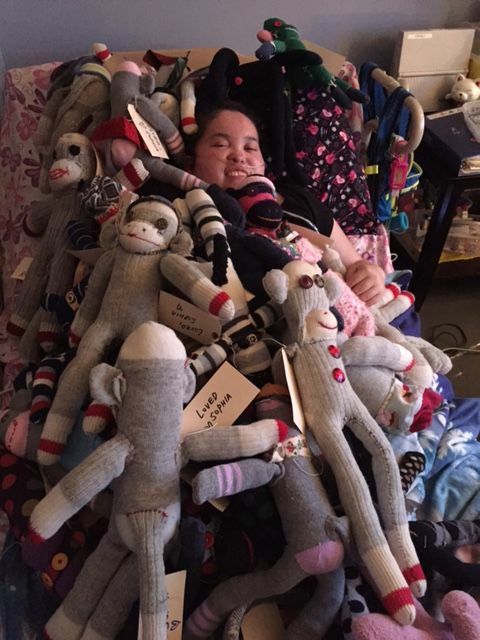 She’s a regular patient and ray of Sunshine at Canuck Place Childrens Hospice in Vancouver, handing out sock monkeys to other children residing there. Canuck Place is a pediatric palliative care home that children in British Columbia who have a life threatening / life limiting illness can go to for respite, symptom management, and end of life care. Sophia is one of those children….she currently has a palliative designation, and has been part of the hospice for nearly 14 years. Sophia, in a pile of love & laughter. 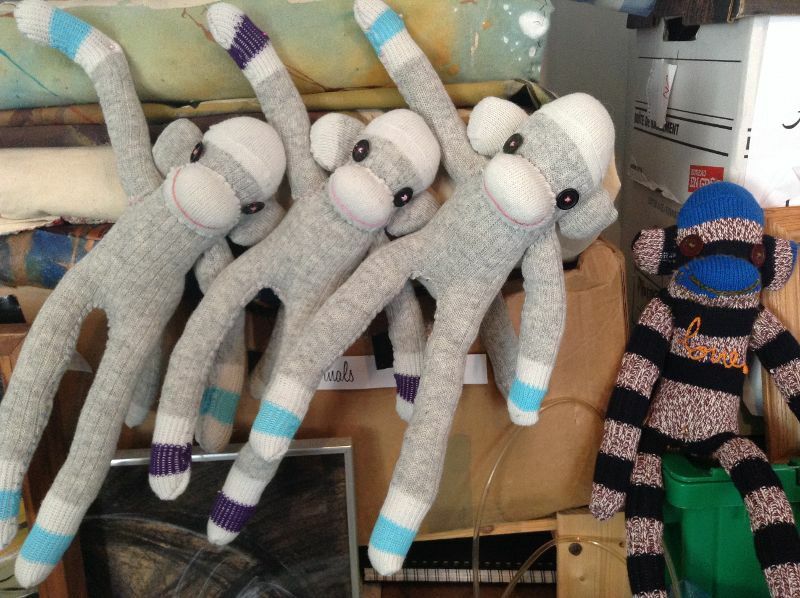 Sock Monkeys created by Kat Thorsen & Vancouver operatives for Sophia to distribute. Sophia, your love & light brings joy, hope and inspiration to us all. Sending you peace, love, magic & monkey hugs.